Staying current on SEO can be demanding. Google’s search algorithm updates regularly. So the best practices continue to evolve. Reading about the newest trends, tactics, and tools can quickly take up a lot of time. Luckily, there are a variety of SEO podcasts to help keep you informed! Podcasts are great because you can increase your knowledge while washing the dishes, walking the dog, or driving to work without adding extra time to your already busy schedule. Plus podcasts offer you a picture of “who’s who” in the SEO industry. 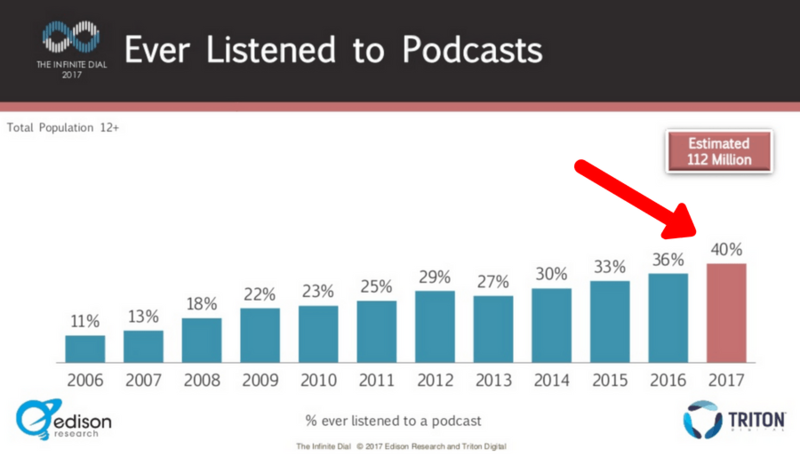 We’ve got a list of 18 SEO podcasts organized by a beginner, intermediate, or advanced level of knowledge. The format, length, and tone of each show vary. So rather than try and subscribe to every podcast here, I recommend sampling them all first to find your favorites. Here they are, starting with the beginner level! Worried you won’t know what the hosts are talking about? These podcasts are friendly to listeners who might not already be search marketing experts. Each show gives you helpful information about SEO in a beginner-friendly format that doesn’t go too far into the weeds. Episodes bring you up to speed on the essentials of SEO, along with any important news and tips. There’s even an active SEO 101 Google+ community where you can ask questions to be answered on the show by Ross and John. Neil Patel and Eric Siu present daily, bite-sized shows in their digital marketing podcast. SEO tips are covered frequently alongside other effective online marketing strategies. This is also a great podcast for those above a beginner level who want some fresh marketing hacks to try out. There’s no fluff in this show, just quick conversations covering actionable marketing advice for you to implement. This podcast hosted by Mat Siltala and Dave Rohrer will get your digital marketing knowledge where it needs to be. This podcast is aimed at educating business owners and people who interact with the digital marketing landscape on best practices. Each episode centers around a single topic and ends with actionable tips. Everything from SEO and link building to how to interact at marketing conferences is covered so that you’re familiar with all things digital. Hosts Mike Kawula and Sheena White do a fantastic job interviewing guests who provide tips on what’s working RIGHT NOW in business and marketing. A variety of marketing topics are covered in addition to SEO, including content marketing and other systems to increase traffic and revenue. 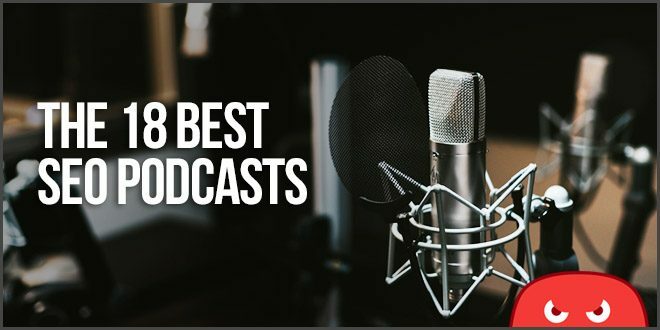 SEO related topics pop up regularly enough to put this on our list of best SEO podcasts. Entrepreneurs themselves, Mike and Sheena find the best people online to share their advice with you as guests. They even reached out to have us on an episode. SEO expert and author Stephan Spencer conducts in-depth interviews with digital marketing experts on this podcast. Episodes are usually around 1 hour and provide fascinating explorations into topics ranging from SEO and branding to other growth methods. Though listed here for beginners, the format of this podcast is actually pretty well-suited to any knowledge level. Episodes tend toward digital marketing strategies for small businesses. Host John Jantsch covers anything a local business or smaller-sized company would want to know. As a result, Local SEO related topics come up in this podcast more than the other ones on this list. Posted weekly with over 100 episodes already, this is a great show for small businesses who want to know how to grow their business with SEO and other digital marketing methods. If you’re well beyond the basics of SEO, these podcasts will keep you informed and learning. Despite billing itself as “An SEO Podcast for Today’s Digital Marketer,” Edge of the Web frequently touches on topics like social media, paid ads and content marketing. That being said, SEO is probably the most regularly occurring topic along with industry trends. Hosts Erin Sparks and Tom Brodbeck conduct great interviews with their guests, who are often notable figures in SEO. Neil Patel, Amy Bishop, and Rand Fishkin are just some of the prominent guests who have appeared on this show. A fantastic SEO podcast for those who enjoy interesting discussions, big name guests and a natural conversational format. Gael Breton and Mark Webster can talk about anything SEO (and they don’t always agree). Episodes center around topics including SEO techniques and notable industry developments. They’ve brought on SEO figures including Charles Float and Tim Soulo from Ahrefs, but Gael and Mark’s discussions are engaging to listen to even when they don’t have guests on the show. A truly educational podcast about SEO, as you’d expect for a podcast from Moz. Vital and newly-changing aspects of SEO are discussed by SEO experts on this show, with a different topic for each episode. The format isn’t too dry though. There are lots of stories and lessons learned discussed by the hosts from Moz HQ and their guests. As you might expect from its title, Search on Tap features the hosts discussing SEO and digital marketing in a round-table format over pints. The regular hosts, Pat Reinhart, Ralph Durso, and Stephan Bajaio bring a rotating cast of industry guests in on their discussion. They speak to every level of expertise, so there’s a good chance you’ll be able to jump in and not get bored. Don’t be fooled by its casual-sounding format. Search on Tap keeps its audience informed while telling impromptu stories from the field. Dennis Brown’s episodes bring on growth hackers, CEO’s, and marketers to uncover the steps that led to their successes. Each episode centers around a brand or entrepreneur’s growth accomplishments and breaks down how they did it. As you can imagine, SEO comes up pretty frequently. This is not strictly an SEO podcast, but the other growth methods on this show are worth looking into in conjunction with SEO to improve your chances of success. Daniel Rowles & Ciaran Rogers catered this show to fit perfectly into your car ride. Though new episodes are only posted every 2 weeks, the topics are evergreen and are a great way to improve your marketing knowledge while on your daily commute. Interviews with experts are combined with the latest search news, tools and strategies for an engaging show. The episodes are typically in the 15-30 minute range, but the show has been on since 2008 and its longevity matches up to its popularity. Host Andy White brings on a variety of marketers and experts to solve common search marketing and other online marketing challenges. Got a lot of SEO knowledge under your belt? These podcasts will keep you interested and teach you a new thing or two! And for good reason: Hosts Matt Bertram and Chris Burres are fun to listen to while dropping SEO knowledge bombs left and right. Their conversations are fresh and often hilarious. If you want to listen to some likable voices and grow your site, there’s a good chance you’ll enjoy this podcast. Search Engine Journal’s marketing podcast comes out every other week. There’s no question that the hosts and their guests are SEO experts. 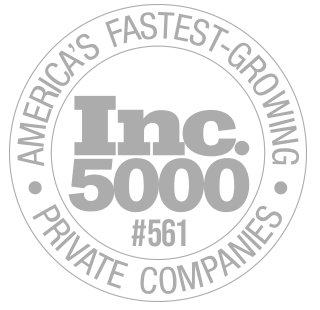 Topics range from technical advice to business growth tips. Content marketing, entrepreneurship and social media are also covered. SEJ’s Loren Baker, Kelsey Jones and Brent Csutoras take turns hosting, and frequently get major SEO guests to pick their brains on what’s working. SEO expert Dan Shure hosts this show and brings on notable guests who are absolute experts in the marketing field. The experts who come on this show such as Marie Haynes and Noah Kagan continually drop effective search, content, and social media marketing tips for you to try out. If you want some great advice from marketers who are literally at the top of the industry, this is a great show for you to listen to. The big picture effect of trends like artificial intelligence, privacy and corporate partnerships on search marketing are discussed in depth. Jim Hedger and Dave Davies bring on industry experts to explore how the internet is evolving and how marketers should adjust and respond to the latest changes. Daryl Rosser’s podcast centers around one topic: profiting from your SEO expertise. Whether you’re trying to scale up your agency or just get your foot in the door and start selling your SEO, this is the perfect podcast for you to learn how to do that. Actionable tips are given left and right by Daryl and his roster of guests who have all managed to develop their businesses out of their SEO skills. Search marketing is an industry where most people are self-taught, and even the experts are continually learning. Some people learn better through listening rather than reading. These SEO podcasts give you easy access to excellent mentors and resources. Just remember to pick a few shows that you like the best. You won’t learn anything by zoning out to a show that seems too technical or a host you don’t necessarily enjoy listening to. And if you spend all your time listening, you won’t advance without putting what you learn into action. So I hope that this list helps you out in finding a show you like that grows your business! Do you have a favorite from this list? Are there any awesome SEO podcasts we left out? Let us know in the comments! Don’t forget the Human Proof Podcast! Hey Dominic, thanks for letting me know about this podcast. I will absolutely check it out! Saved about 3 podcast. Will start to check them out on my way to home. As I listen to audible already this will be a great addition. Great, let us know which podcasts you enjoyed! Thanks for sharing these podcasts. These are good resources. Best partner to learn more about SEO. Awesome, glad you thought so April! Thanks for sharing! We currently listen to a couple on this list, but now have more to get SEO insights from. Thank you!